We care about the citizens of Lethbridge, and take pride in serving them through good and bad times. If you have any questions, please contact us and we'd be happy to help you. Important Notice - Please read before filling in the form below. This form may be used only to provide general information. Please do not send confidential information about your matter. We appreciate your interest and will do our best to respond to your message within 24 hours. Avoid the headache and financial pitfalls of navigating a divorce or separation on your own. Call Alger Zadeiks Shapiro LLP today for a consultation. Divorce and separation are never easy matters, and going into it on your own can add another headache to your emotional distress. A good, compassionate separation or divorce lawyer can expedite the process so you spend less time in the courtroom and more time putting your life back together. At Alger Zadeiks Shapiro LLP, we want to help you – and your family – keep things together when everything is threatening to fall apart. I would highly recommend Alger Zadeiks Shapiro. Having lawyers who are confident, educated and compassionate was so helpful. They always took the time to make sure I understood everything and I never once felt rushed or that I was on a time limit. I will definitely use them as my lawyers if need be in the future. If you’re fortunate enough to agree on the big issues, mediation is the cheapest, fastest and most peaceful way to get a divorce. In fact, we believe that in the future all divorce will go through mediation first by law. Without the drama of the courtroom, mediation gives you the chance to be directly in control of your divorce. And by keeping all those extra strangers out of your divorce or separation, you can save time and money – which will save you stress in an already difficult time in your life. You owe it to yourself and your children to see if mediation is the best choice for a cheaper, less stressful separation. Call today for a consultation with one of our divorce lawyers and get your life back on track. Hiring the proper lawyer is vital, and though the thought of bringing a third party into your divorce or separation sounds frustrating, you need someone on your team - someone who will be there for you when it all seems fruitless, and you're ready to give up. 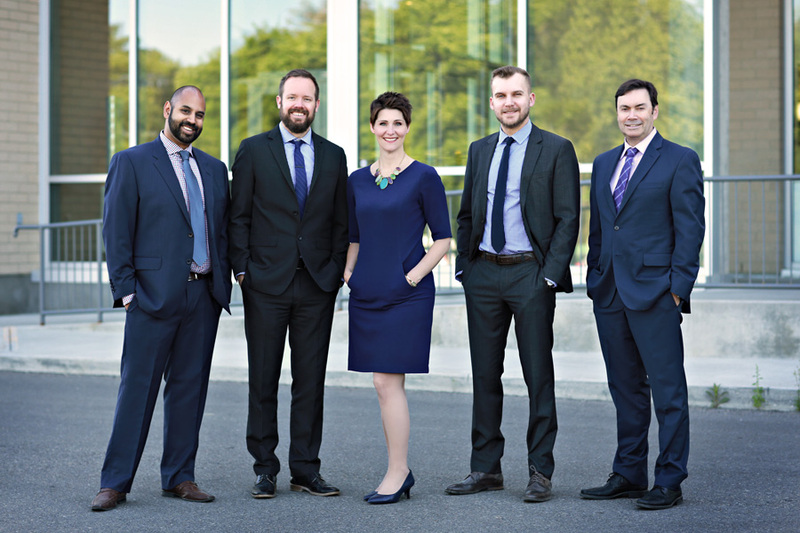 Our team has over 50 years of combined experience, and will stand beside you with care and compassion to help you through this difficult time. Our team at Alger Zadeiks Shapiro LLP is here for you. At a time when you've lost some very important support when you need it the most, we can step in and guide you through the arduous process of divorce with experience and compassion. Let us be your support in times of trouble, guiding you through to an equitable, timely resolution so you can get back to rebuilding your life. What About A Do-It-Yourself Divorce? Here are a few reasons you may want to think about hiring a divorce lawyer instead of navigating your divorce by yourself. It’s a complicated process, and incorrectly filled out paperwork that doesn’t address important factors can come back to bite you long after you thought you put the whole thing behind you. People complain about the paperwork associated with taxes, but your divorce is not only just as difficult, but equally tumultuous. Just because you’re up for the challenge of all the paperwork, doesn’t mean it won’t feel overwhelming when combined with everything else. Every part of a divorce has far-reaching effects. If you don’t know how each decision will affect you, especially financially, you won’t be able to make the best from this difficult time. Do I need a lawyer when getting a divorce? While it’s in your best interests to at least meet with a lawyer, you don’t technically need a lawyer when it comes to filing for divorce, as these forms are available online. However, please be aware that these forms do not outline procedure, and you may be caught off guard without legal advice. As well, if there is matrimonial property involved and an agreement has been reached, you will need independent legal advice to sign off on the contract in order to comply with Alberta's Matrimonial Property Act. If you're interested in what we offer, check out our Lethbridge divorce services or request a consultation. If you and your spouse own property together, you will need a lawyer as the Matrimonial Property Act requires independent legal advice and a valid contract to comply with legislation. We wrote a more in-depth post on this question here. Do I need a divorce lawyer if my spouse has one? You know the old adage – about bringing knives to a gunfight? Independent legal advice is necessary to ensure that your interests are looked after, as you may not be on the same page as your spouse about everything. It depends on the complexity of the situation, but once the divorce is submitted, it can take anywhere between 3 – 12 months. If negotiations are happening, this can also extend the time. 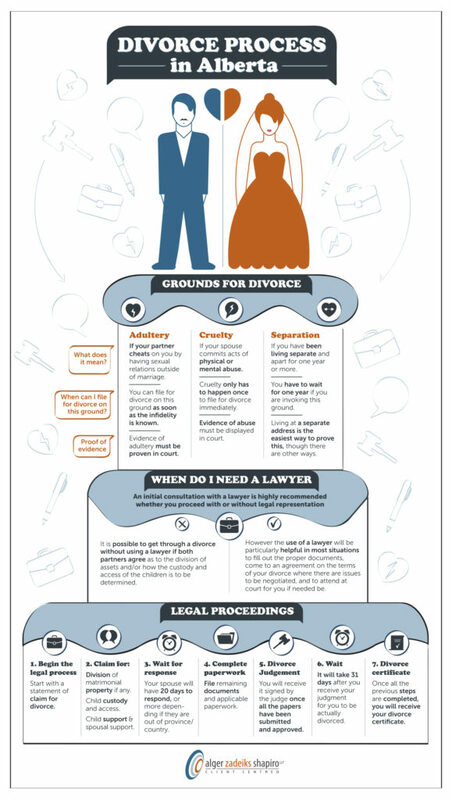 Check out this page for more information on the divorce process. What if I don’t have a prenuptial agreement? You still retain certain rights under the law even without signing a prenuptial agreement. These rights come from statutes and include things like spousal support and child support. Seeking out a lawyer is strongly advised when it comes to navigating the web of prenuptial agreements. Depending on if the matter is contested or uncontested, the cost can vary greatly. An uncontested divorce could be as low as $1,500, whereas a contested divorce can be closer to $20,000. Who gets the kids in a divorce? It’s important to remind ourselves that children are not property, and they deserve to be with both of their parents. The top priority when determining whom they should be with is: what is in the best interests of the child/children. With this in mind, you will work together with your lawyer to determine where the child’s best fit will be. How does child support work after a divorce? This is based on Alberta Child Support Guidelines or Federal Child Support Guidelines. The amount will change depending on annual income. How do my partner and I make it fair for both of us? Talk and be as open as possible with your partner when you are determining what will be fair for both sides. Speaking with a lawyer is very helpful in these circumstances, and can provide clarity for both of you. How do we divide our assets? While there are a plethora of options that are best explained by a lawyer, married spouses are covered by the Matrimonial Property Act. In its simplest application, the Matrimonial Property Act states that any property acquired during the marriage is equally divisible, regardless of whose name is on the property. Do I have to give my partner a share of our assets if I am the sole provider? Depending on if you’re common law or married, the law is different. If you’re married, you will rely on the Matrimonial Property Act, which states that your spouse is entitled to a share of the assets. Common law spouses do not rely on the Matrimonial Property Act, and will usually divide up their assets individually, according to whose name is on what. However, in some circumstances, common law partners are still entitled to a share of their partner’s assets if one has suffered a great financial gain/loss from the relationship. At Alger Zadeiks Shapiro LLP, we are on your side and we'll help you make sure your divorce is settled and you get exactly what you deserve. We will manage your case with integrity, promptness, and grace. Divorce is difficult enough. Let us help make it easier on you. Request a consultation today, and get on your way to moving through this difficult process and into your new life.